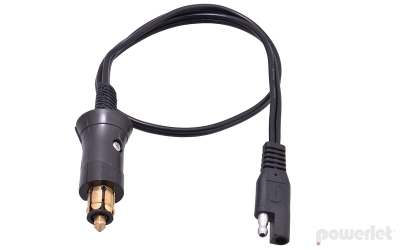 Connect a battery charger (Battery Tender, Yuasa or any other charger that utilizes a two pin SAE connection) to the vehicle battery through a Powerlet® socket. Works with BMW, Triumph, Ducati and other makes/models. Heavy duty 15A max.